What is Microsoft Mixed Reality, and what is the HMD Odyssey? Everyone has heard of virtual reality, a computer based reality, and most people have heard of augmented reality, adding a second layer to the real world, but a mixed reality might come as a new term to some. Mixed reality blends both the real world and the virtual world into a new reality. Both new pieces of environment and visualizations come together to add a new layer to what we see every day. A key trait of mixed reality is that you are able to interact with these new objects and both the real world and the digital one both co-exist at the same time. This is one of the many exciting new options available to create all-new immersive experiences during VR Fashion Week. Another term for mixed reality is hybrid reality. Mixed reality is most well-known for its potential in the gaming world but it has a lot of other uses. Artists have been using it to create a whole new form of art. Businesses and government agencies have been putting it to practical uses. Gaming with mixed reality is quite powerful. You can experience games like never before. Mixed reality allows you to feel like you are in the game with physical navigation, surround sound, and potentially touch feedback depending on the devices you use. The military was the first entity to build an immersive mixed reality experience with the US Air Force’s Virtual Fixtures Platform. This incorporated sight, sound, and touch into a mixed experience to help airmen train and be more productive in the workplace. Remote working is also a platform that the Air Force’s use has inspired. Healthcare is one industry where mixed reality has a lot of potential. At this point it is being used to help train surgeons and to help bring medical scans to a whole new reality. The potential to aid in surgery by providing overlays and vitals on top of what you are seeing is strong. It could bring on a whole new level of life saving power. 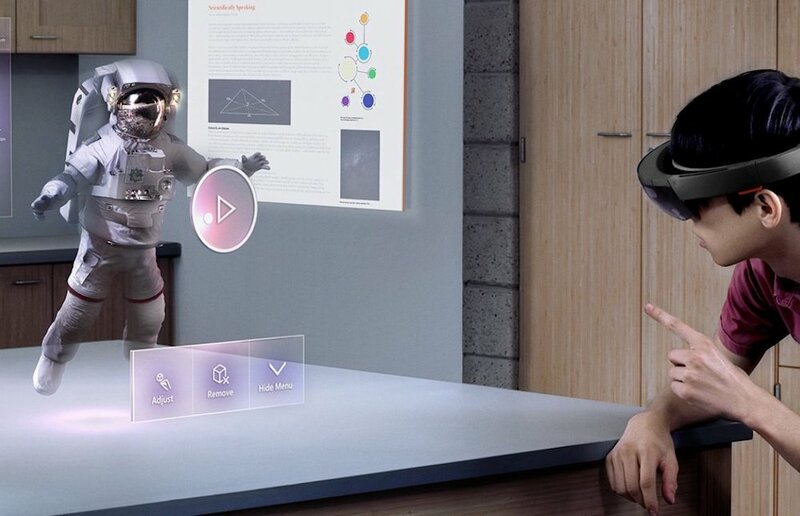 Obviously mixed reality can’t be accessed without a device and up until recently it was hard to come across a retail device that the average user could afford. HMD Odyssey may just be the answer to that desire. It is a Windows based device made by Samsung that is designed to be used for multiple platforms. While it can be a great platform for gaming, you can also use it for other uses such as communication, design, or presentation of designs on virtual or mixed reality runways during fashion week. HMD Odyssey uses dual AMOLED displays in order to provide amazing image quality to users and also has built-in headphones that are attached to the headband. Each speaker is capable of producing sound from a variety of directions so that when the two are combined you have a three-dimensional experience that meshes into the visuals. One of the complaints about virtual reality devices that are similar to Samsung’s mixed reality device, is that they require external sensors in order to fully orient the user in the virtual space. The HMD Odyssey has gotten rid of this need and uses a suite of onboard sensors. In order to use HMD Odyssey you will need a compatible computer. The required specs can be found on Samsung’s HMD Odyssey page. There are two different specification requirements listed on the page. One is for the standard experience while the other is for the more advanced and immersive “plus” experience. It should be noted that consumer grade mixed reality devices focus much more heavily on the virtual part of the mixed reality. A majority of the experience rely on the audio and visual senses too. Touch is still being developed and other senses are far from the consumer world. Despite all of this, the experience is one that you will not be able to forget or put down, as we’ve seen during recent virtual reality experiences during Russia Fashion Week. Those who are looking to truly experience a new level of digital realism will enjoy the HMD Odyssey and Microsoft Mixed Reality. The experience is hard to rival and the feedback it has received is outstanding. Your own HMD Odyssey will run you $499 to start but you will also need to ensure that your computer is capable of running the device. Fortunately for those whose devices don’t come up to spec, VR Fashion Week will likely feature a number of hardware solutions in malls and other places, so this immersive, high-tech VR Fashion Week experience can be enjoyed by all.